“I thank you for creating such beautiful works of art." “I thank you for creating such beautiful works of art. 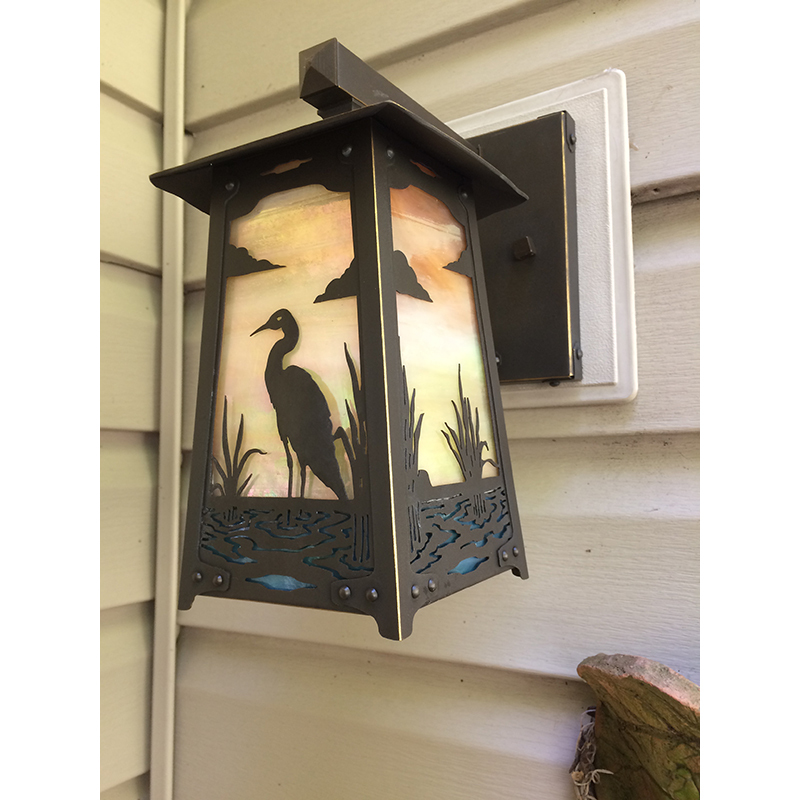 The blue heron now lights the way out to our backyard water garden and help you imagine the bird wading in the water. This is my third fixture I have ordered from Old California Lighting and they are all beautiful and admired by all who see them. I have always appreciated the care you take to package the lights so there isn’t a worry about them arriving intact. I also appreciate how you answer any questions in a very prompt manner. You truly deliver superb customer service.